A serious auto accident can be a traumatic and difficult experience. Whether your accident was a fender-bender or a catastrophic collision, we are here to assist you and provide guidance. A construction site can be an extremely hazardous workplace. Construction workers must be aware of their surroundings at all times. They need to watch out for falling objects and other hazards all while performing their job. In addition, the supervisors responsible for the workers’ safety have an obligation to ensure all safety measures, tools and equipment, are in place. We are experienced construction accident and Labor Law Attorneys who have witnessed how a devastating construction injury can affect an injured victim and his or her family. We have represented and obtained significant settlements and awards for injured construction workers. Thousands of people are seriously injured or killed every year by dangerous and defective products. Many of these injuries could have been avoided if appropriate safety and design measures were taken to ensure quality of these products. Defective products, including dangerous toys, industrial machinery and equipment, improperly designed consumer products and motor vehicles, may cause significant bodily harm. Those who have been injured by a defective product may be entitled to compensation. Medical malpractice occurs when patients are harmed by the actions (or inaction) of doctors and/or other healthcare professionals. Common types of cases in this area of the law include childbirth injuries, medical misdiagnoses, surgical errors and hospital-related infections. Medical malpractice also includes failure to diagnose a medical condition, improper treatment and failure to warn a patient of known risks of a procedure or course of treatment. Because there are time limitations on a potential medical malpractice claim, it is important that you contact an attorney to discuss your claim as soon as possible. When a licensed healthcare professional acts negligently, causing injury or death to a patient, that patient or their loved ones may be entitled to collect damages. The attorneys at The Clancy Law Firm, P.C. are experienced in helping victims of medical malpractice receive due compensation. Property owners have obligations under the law to keep their land, and the buildings on it safe for authorized visitors as well as those who have business there. When property owners fail to meet that standard of care, serious injuries can occur. Common situations that give rise to premises liability lawsuits include slip and fall accidents, defective sidewalks, electrocutions, gas explosions, animal attacks, negligent or inadequate security and inadequate maintenance. Injuries in premises liability claims range in severity from minor to catastrophic. If you are looking for an experienced premises liability lawyer to help you pursue justice and compensation for your injuries, please contact The Clancy Law Firm at (212) 747-1744. Slip and fall injuries are common, with thousands of claims made each year. Many victims suffer serious, life-altering injuries. Unlit stairwells, wet floors and construction site defects can have catastrophic consequences. It is important to know what to do in the event of a slip and fall accident. Consult a lawyer to determine whether you are owed damages for the negligence of a property or business owner. 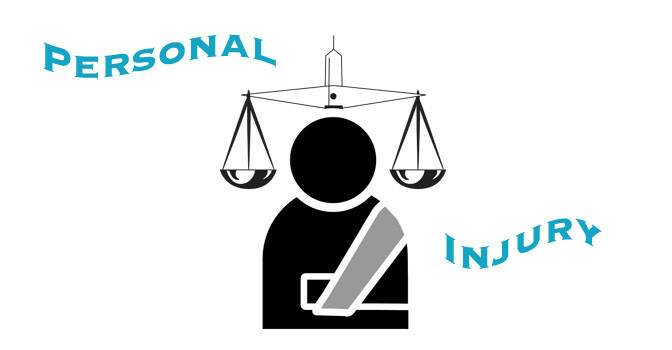 If you have been injured on the job, it is important that you contact an attorney to assess your claim. Wrongful death occurs when an individual’s negligence leads to another individual’s untimely death. A wrongful death case may lie in a number of different contexts, including car accidents, construction site accidents, swimming pool accidents, medical malpractice, slip and fall accidents and fires in the home. The goal of a wrongful death case is to get compensation to the survivors and beneficiaries of the deceased for their loss. In times of grief, it is understandably difficult for family members to recognize the importance of prompt investigation of the circumstances of death, preservation of evidence and identification of responsible parties.